"Can (Flash-In-The-Pan Thing Here) Save Detroit?" or "This One Man..." are headlines that annoy the locals enough but thanks to the city's bankruptcy, the new trend piece of the moment is finding out who has billions of dollars laying around to rescue the city. This shouldn't have to be explained, but a municipal bankruptcy does not mean said municipality is on the auction block. Sure, assets of the municipality may have to be sold to satisfy debts. But think about it — when a person files for bankruptcy because they can't pay their car note or whatever, does the person go for sale? Or the car? Come on, now. I won't say Detroit is closed off to great ideas that can be birthed within the city — something that requires someone to establish residency and/or a business within the city, thus adding to the tax base. But a wholesale purchase of the city, despite failed attempts on eBay, is likely unfeasible and probably illegal. There are two ideas floating around out there that need to be debunked immediately. 1. Detroit Should Be Sold to Canada. Detroit and Windsor share a bridge and a tunnel. That's it. The relationship between the two cities has always been friendly, even though we have the hockey team and they have the health care. But logistically speaking, it would be multiple levels of insane difficulty for Canada to acquire a major American city because of international annexation laws that prevent such things from happening. 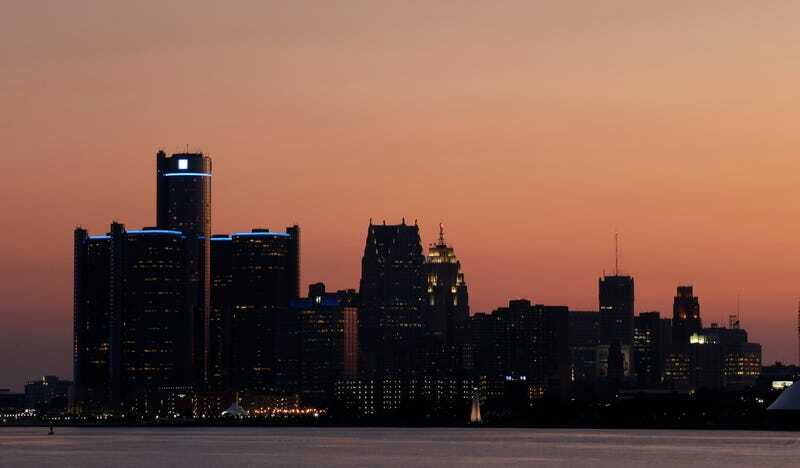 In order for this to happen, the city of Detroit would have to agree (not going to happen), the state of Michigan would have to agree and the United States would have to agree — and that's only if there's an OK from the whole of the city of Windsor, the province of Ontario and the Canadian government. And plus, think about Highland Park and Hamtramck. Imagine having to show a passport just to get to the Polish Market. What would be appealing to Google would be the ability to produce city wide legislature that allowed them to use the entire city of Detroit as real life testing ground for all of their technologies without having to comply to city laws and regulations. This would allow them to test cutting edge technologies in everyday scenarios. It would also present the authority needed to re-imagine how a city operates on an information level, and not only to test their driver-less cars, but test products such as mobile commerce, free public internet and free public transportation as well. Not only is this a bizarro plot of "RoboCop" but, again, since the city itself is not for sale, Google simply just can't pay off the city's debt and say "we own you now!" What Google could do, however, is consider expanding their corporate footprint here if they want to bring more jobs and test more of their goodies here. I've been more optimistic about out-of-the-box ideas to help Detroit out because we do need the help, but let's maintain a semblance of realism here. Probably what irritates the most is this idea that Detroit can just be Bugs Bunny .gif'd out of existence, as if the people here don't matter. Hat-tip to Matt Novak at Paleofuture for pointing out the sell-Detroit-to-Google link and an additional hat-tip to Dustin Dwyer for pointing out the "One Man Is Trying to Fix That" Tumblr.